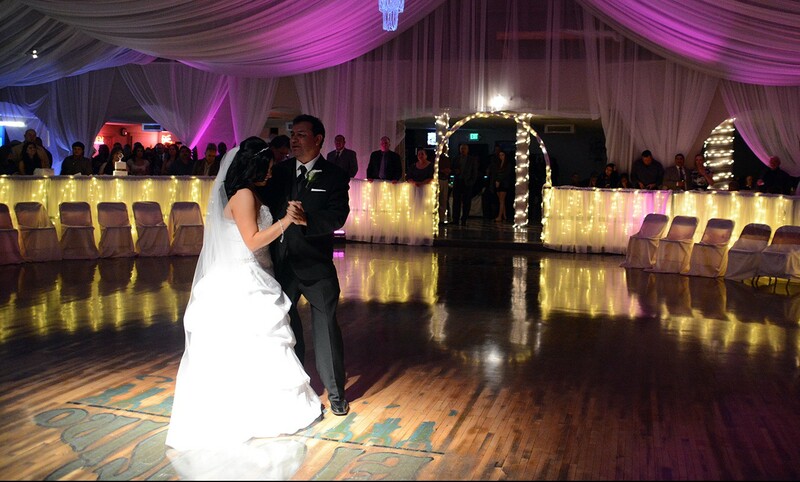 El Casino Ballroom | Celebrating weddings, quinceañeras, and other celebrations since 1947. When it opened in 1947, the El Casino Ballroom hosted family milestones as well as touring musical acts, including traditional Hispanic musicians such as Tito Puente and other world-renowned performers like James Brown and Fats Domino. The ballroom continued filling its 1,200-person capacity until 1991, when a windstorm blew off the roof. The wood floor, once the largest spring-mounted floor in Southern Arizona, was almost destroyed by the summer monsoon. Fortunately, thanks to the dedicated efforts of many, the El Casino Ballroom re-opened in 2000, and has been the destination for weddings, quinceañeras, and other special events ever since. For reservations, or additional information, contact Fred Martinez at (520) 940-0973, Monday – Friday, 10:00 am – 5:00 pm . Check out “Tucson’s Heart and Soul: El Casino Ballroom” – A documentary on the historic El Casino Ballroom by Dan Buckley. The film premiered at the 2012 edition of the Cine Plaza at the Fox series. In 2013, it was also chosen to be screened as part of the Arizona International Film Festival. Copies of the film can be purchased at the El Casino Ballroom for $20. $5 of each copy sold at El casino Ballroom goes towards restoration efforts.